Price: $347 Tons of supplies including special printing of your photographs and substrates, daily lunches, drinks & snacks are included. 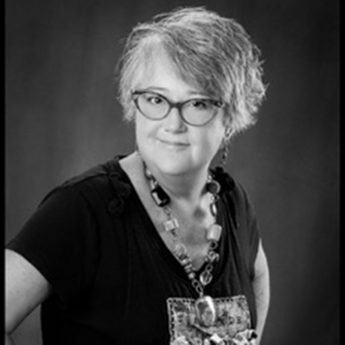 Experience the power of the heart leading the way during the creative process of collage. This weekend will be especially meaningful as we intuitively and intentionally design from memories and moments to handcraft unique legacy masterpieces. 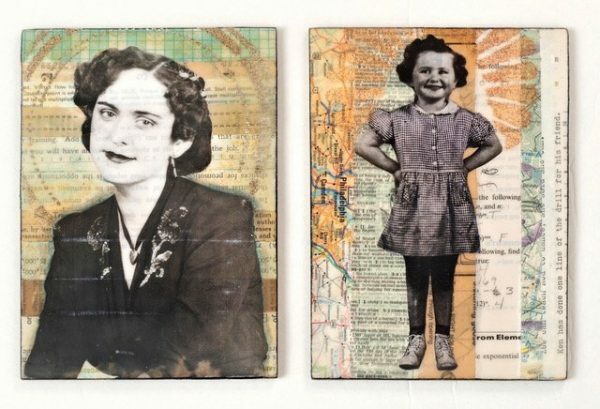 Explore Glenda’s favorite mixed media styles and stuff to design a personalized yet vintage look and stories about 2-3 of your ancestors. Dig through suitcases overflowing w/ephemera and miscellany to create engaging compositions. 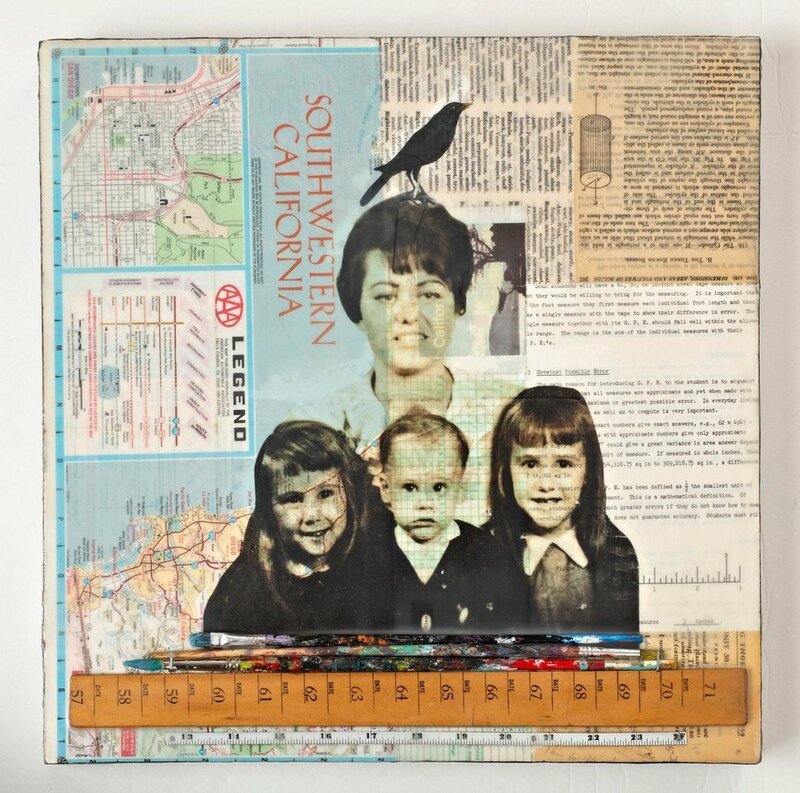 Proudly create a grand 16X16 art story, and using our vintage remnants, adorn two ancestors on 5×7 showpieces. 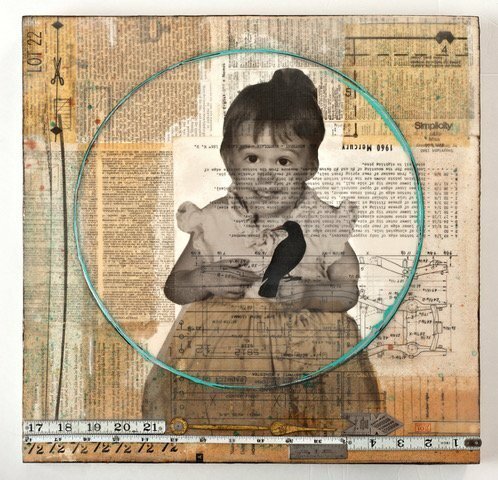 This workshop encompasses a wide array of tools and techniques for collage including encaustic, 3D objects, layering, storytelling, and more. Basic tool kit: pencil, eraser, scissors, etc. Small bottles or tubes of 3-4 of your favorite colors of any brand of acrylic paint for wood panel borders. Glenda will be providing my favorite colors of black, raw umber, gray, white, paynes gray, and lots of blues so if you like these colors don’t worry about bringing any paint at all. Bring misc. papers or flat backed 3D treasures + tokens to specialize your story. 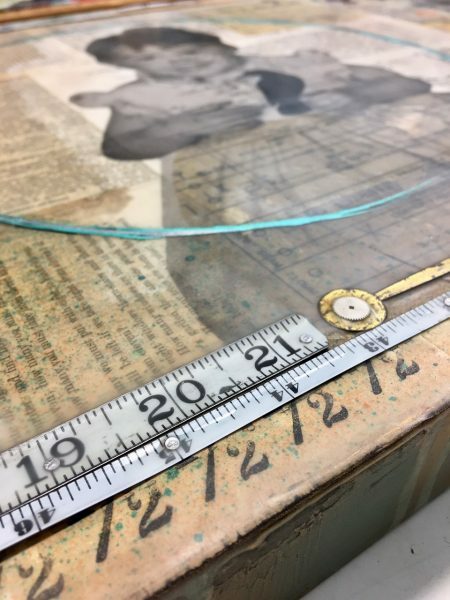 If you bring original vintage ephemera, please know, that the collage/encaustic process sometimes brings unexpected results with coloring and texture. If you’re not okay with embracing “happy accidents” or the natural imperfections of handmade design, please consider making copies of your original documents. Please do not print on standard copy paper typically used for home printing which doesn’t work well with the artistic glues, inks and paints we are using. Please do not print on OR use glossy photo paper which will not hold up to the heat of encaustic. Search for up to three (3) photos to be used for this experience (you may have them digital, already, which is great but if not, they will need to be scanned). Consider your own baby picture, parents, grandparents, beloved family members or even a pet. Scan one preferred focal point photo for the 16X16 at a 600-900 resolution. Your photo will be edited for clarity and printed FOR YOU on archival tissue paper. Also, scan 1-2 photos for the 5X7’s at 600-900 resolution. Do this early or grab your techy nephew the next time you see him to help out! You may register for the entire weekend by using our “$99 Holds Your Spot” deal which allows you to pay over time. Please note that your $99 deposit is nonrefundable but is applied to your balance. The $248 balance is due no later than June 15, 2019, and can be made by mailing a check to Ephemera Paducah, 333 N. 9th Street, Paducah, KY 42001 or on this page via PayPal or Credit Card. Not paying your balance before June 15, 2019, will result in the loss of your deposit and place in class. Before registering for this workshop, please familiarize yourself with our Cancellation Policies Updated September 1, 2018. Please note that your $99 deposit is nonrefundable but is applied to your balance. The $248 balance is due no later than June 15, 2019. Not paying your balance before June 15, 2019, will result in the loss of your deposit and place in class.